This ebook edition contains a special preview of Kathy Reichs's upcoming novel Two Nights and the bonus novella Bones on Ice. No one speaks the language of suspense more brilliantly than Kathy Reichs, author of the acclaimed Temperance Brennan series. 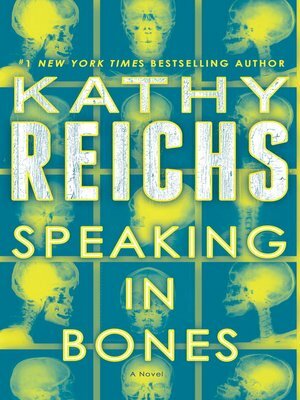 In Speaking in Bones, the forensic anthropologist finds herself drawn into a world of dark secrets and dangerous beliefs, where good and evil blur. Professionally, Temperance Brennan knows exactly what to do—test, analyze, identify. Her personal life is another story. She's at a loss, wondering how to answer police detective Andrew Ryan's marriage proposal. But the matter of matrimony takes a backseat when murder rears its head. Hazel "Lucky" Strike—a strident amateur detective who mines the Internet for cold cases—comes to Brennan with a tape recording of an unknown girl being held prisoner and terrorized. Strike is convinced the voice is that of eighteen-year-old Cora Teague, who went missing more than three years earlier. Strike is also certain that the teenager's remains are gathering dust in Temperance Brennan's lab. Brennan has doubts about working with a self-styled websleuth. But when the evidence seems to add up, Brennan's next stop is the treacherous backwoods where the chilling recording (and maybe Cora Teague's bones) were discovered. Her forensic field trip only turns up more disturbing questions—along with gruesome proof of more untimely deaths. While local legends of eerie nocturnal phenomena and sinister satanic cults abound, it's a zealous and secretive religious sect that has Brennan spooked and struggling to separate the saints from the sinners. But there's nothing, including fire and brimstone, that can distract her from digging up the truth and taking down a killer—even as Brennan finds herself in a place where angels fear to tread, devils demand their due, and she may be damned no matter what.